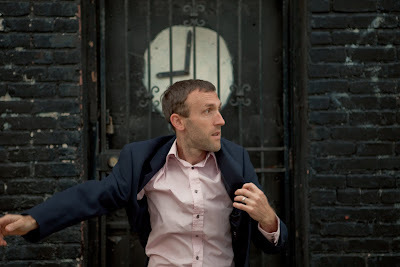 Even before RJD2 could walk he was marching to his own beat. “There’s a story that knocked around when I was younger that I had two birth certificates,” says R.J. Krohn, the left-field hip-hop producer known best by his Star Wars–channeling moniker, RJD2. As the story goes, it was the latter of the two that bestowed him with his permanent name. “My parents didn’t want to name me until they knew me better,” Krohn explains. “I learned to crawl at an early age and would wander off a lot. So the name came from that.” From his first infant-escape act on, Krohn was Ramble John. The 33-year-old Philly resident has kept true to his name since he first turned heads with his single “Here’s What’s Left,” for little-known indie hip-hop label Battersea Park in 2001. Nine years later, he’s released four albums, collaborated with artists as varied as MF Doom and Fallout Boy, produced the theme song to Mad Men and launched his own label. The January release of his latest album, The Colossus, on RJ’s Electrical Connections imprint sees him on the road again, three turntables and a live band in tow. The tour brings him to the Metro Saturday 13. The sample-heavy head-nodders of Krohn’s first album, Deadringer (2002), ingrained his name in the minds of backpack hip-hoppers and adventurous DJs the world over, garnering comparisons to instrumental hip-hop demigod DJ Shadow. But his next two albums—Since We Last Spoke (2004) and The Third Hand (2007), which veered into vaguely indie-rock territory and saw Krohn singing a lot—were not as well received by the devotees who had first championed him. Fans and critics alike preferred his tracks paired with rappers to his thin, often out-of-key vocals.